Nancy Pelosi has a growing problem on her hands. She was counting on one giant lie to maintain her grip on power. But Pelosi was left weeping after an ultimate betrayal revealed her biggest secret. The fake news media portrays Nancy Pelosi as a modern-day Margaret Thatcher. So-called “reporters” even play off Thatcher’s “Iron Lady” nickname when they claim Pelosi runs her caucus with an iron grip. And now it’s out in the open. The truth of the matter is the radical left – led by Ilhan Omar and Alexandria Ocasio-Cortez – are calling the shots in the Democrat Party. 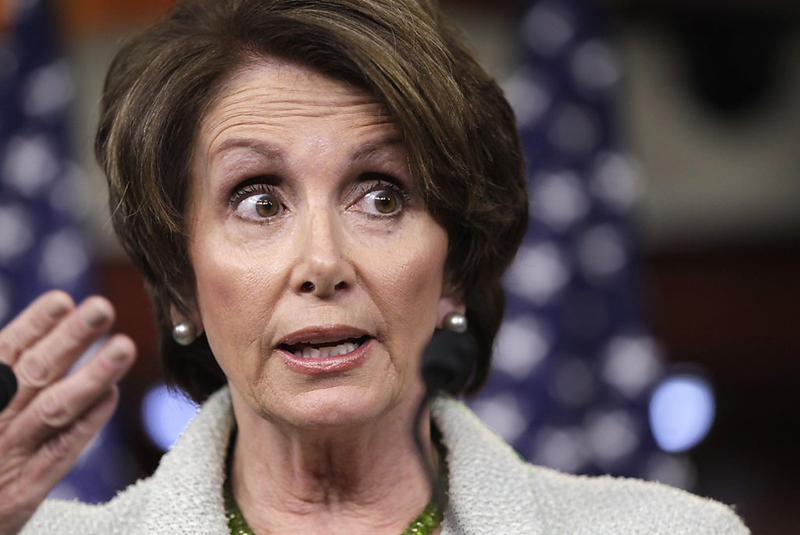 The myth of Pelosi’s fearsome ability to force her members in to line was shattered when the Democrats yanked a budget bill from the floor because socialists in the conference threatened to tank the bill because it didn’t spend enough money. Democrats want trillions of dollars in spending in a new two-year budget deal to avoid automatic spending cuts that are set to kick in. Speaker Pelosi and Senate Majority Leader Mitch McConnell began negotiations on a big government budget deal. But the left flank in the Democrat Party is not happy. And neither are so-called “Blue Dog” Democrats. These are Democrats that fake being moderate but voted for Pelosi for Speaker of the House. “The system is broken, and somebody has to be the adult in the room and try to get us back on track,” Congresswoman Stephanie Murphy of Florida declared in front of reporters. Murphy is the chairwoman of the Blue Dog caucus and these Democrats are worried the Democrats’ open embrace of socialism paints the party into a corner in 2020. Socialism is not popular with most voters and so-called “Blue Dog” Democrats know it will cost the party the 2020 presidential election as well as their House Majority. President Trump hammered Pelosi for this failure on social media. President Trump and his administration would be happy to see the automatic spending cuts for domestic programs kick in. The President has budgetary mechanisms he can use to protect defense spending so the usual leverage the Democrats try and exert over Republicans to agree to more welfare spending – the fear of cutting the defense budget – does not exist in this case. All of these factors combine to strip away the cloak of invincibility that Pelosi depended on to enter negotiations with President Trump on strong footing.